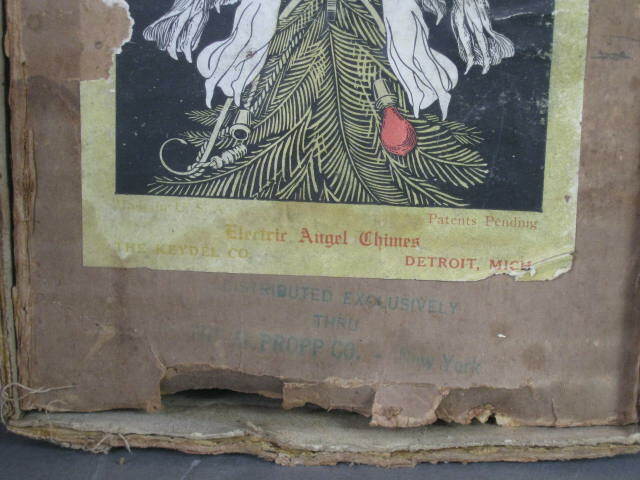 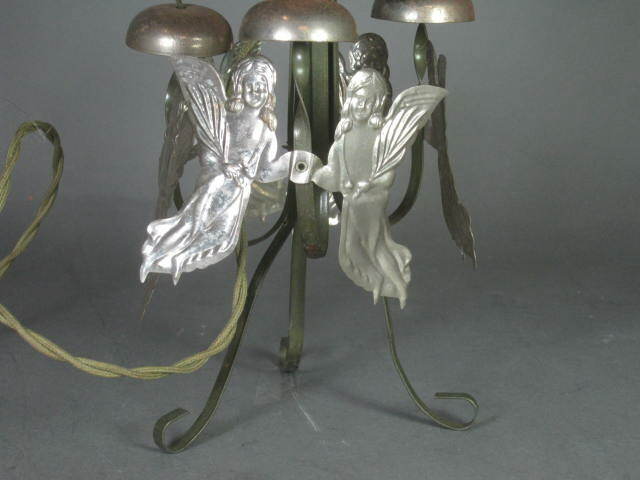 This listing is for a wonderful set of antique Electric Angel Chimes made by Keydel in Detroit, Michigan. 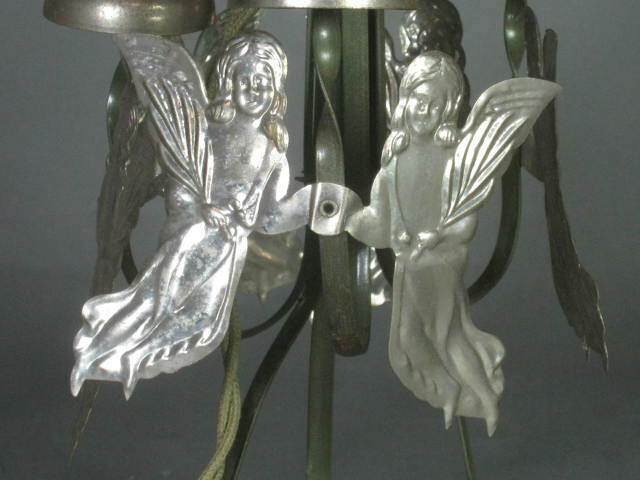 The chimes are meant to be a tree topper, but could also have been used on a table or mantle. 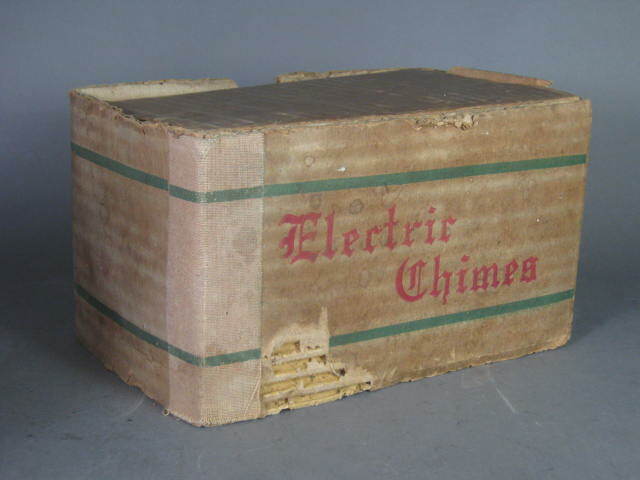 Based on our research, they were sold in the 1920s. 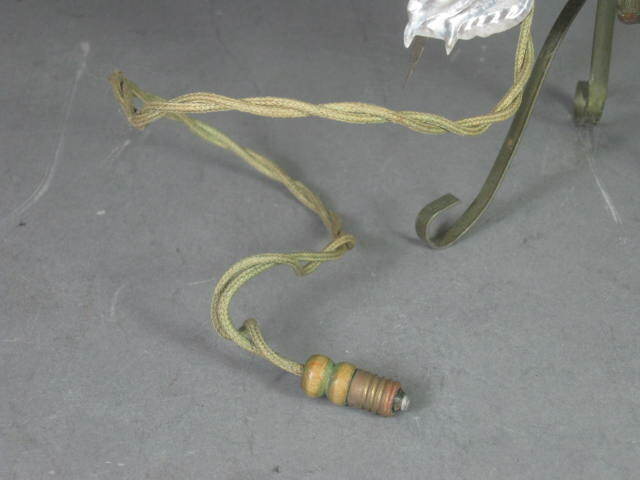 The cord is meant to plug into old strings of Christmas lights, so we are unable to test these chimes. 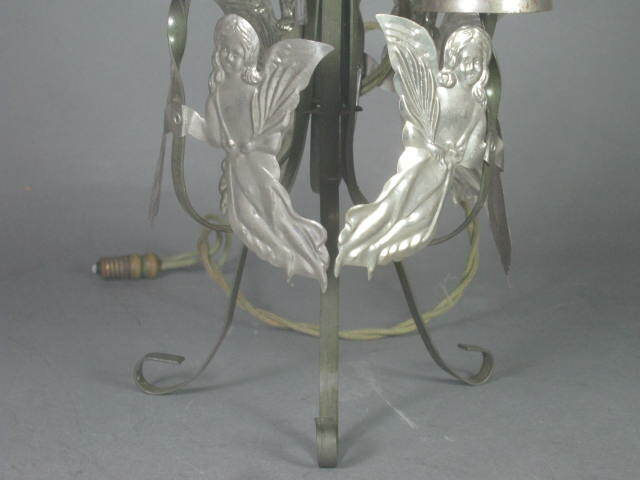 The top section would spin around and the metal dangles would ring the bells as it turned. 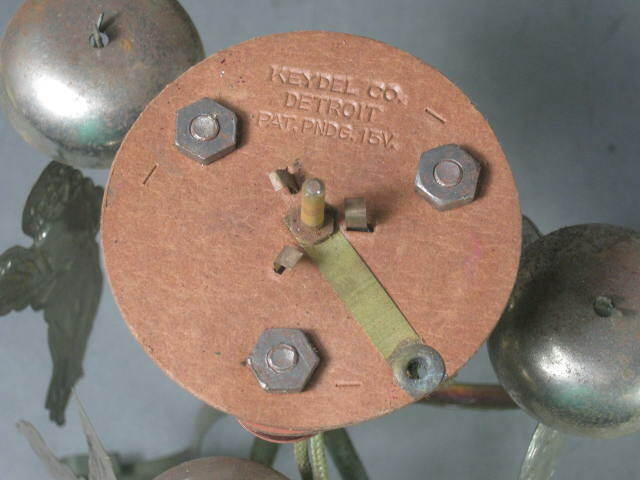 The chimes are in fair to good overall condition with some minor rust and paint loss. 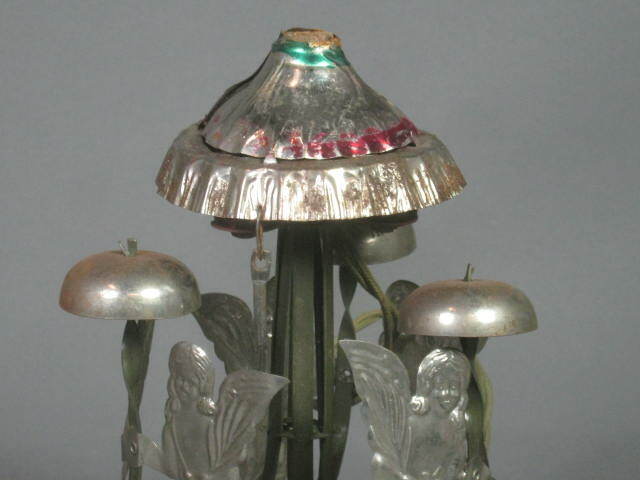 One of the dangles is missing, as is the bulb that goes in the top socket. 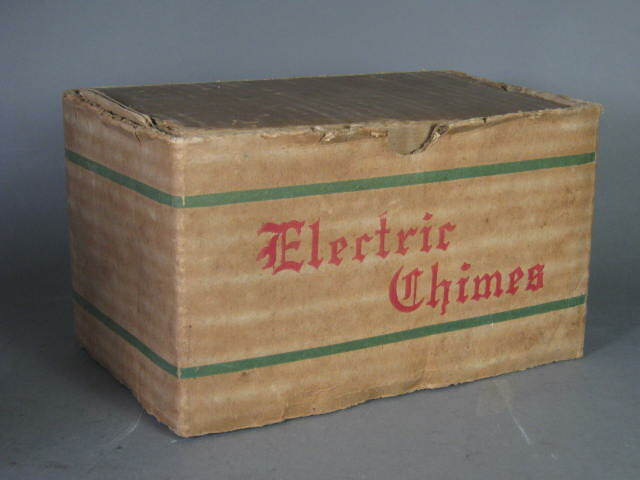 The original box is in fair condition with part of the label missing. 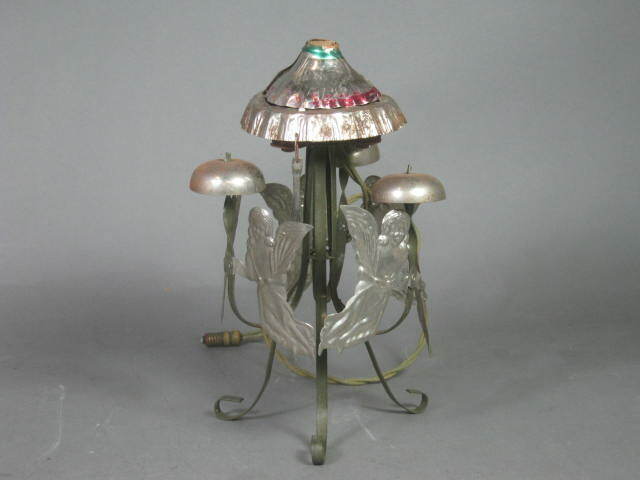 We have a low opening bid price, so don't miss your chance to add this piece to your Christmas collection! 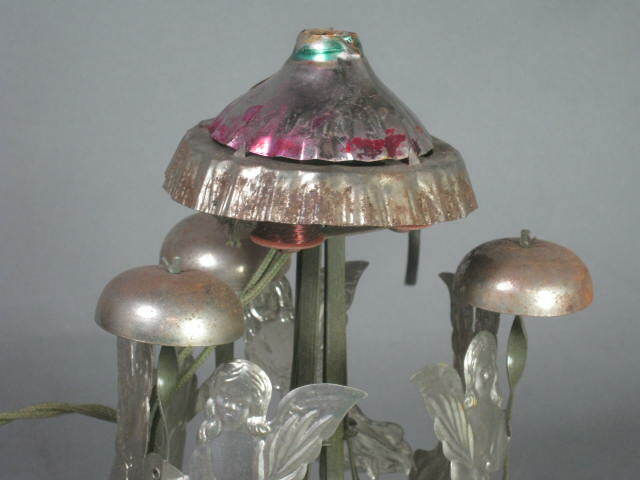 In 1923 Keydel patented an electrically-powered angel chime. 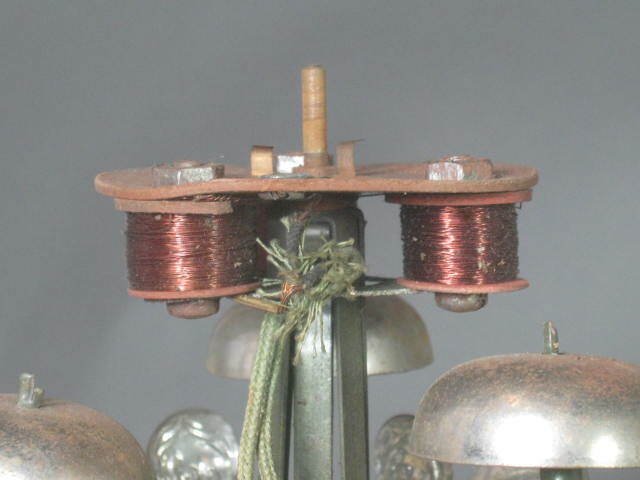 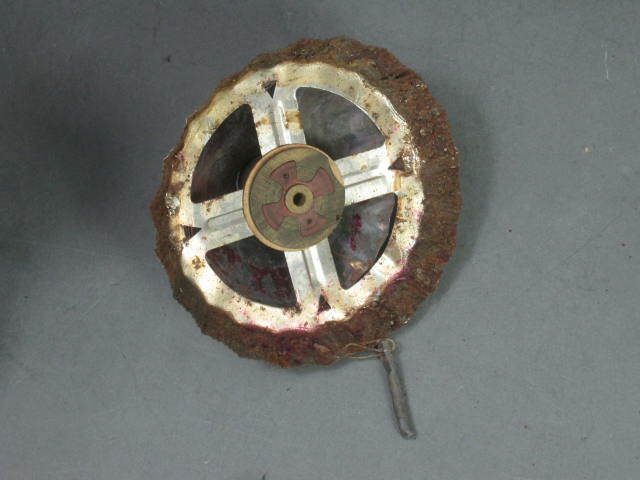 The electric motor, which rotated the strike mechanism and lit up a C6 bulb topper, was powered by a cord tipped with a plug designed to screw into an empty socket of a C6 Christmas light string. 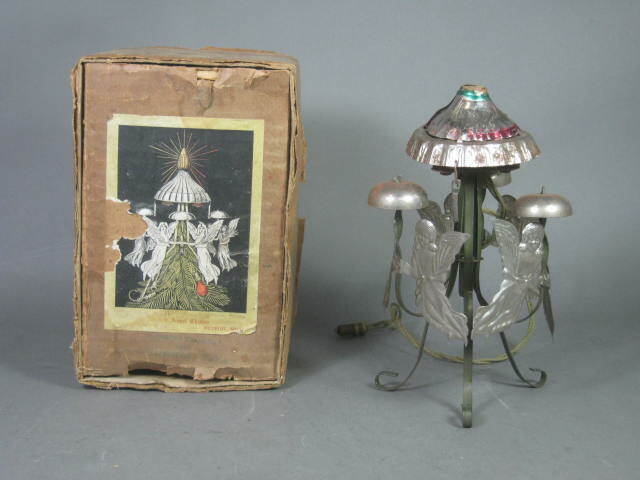 In 1926 the Keydel "Electric Angel Chime" was advertised in magazines like Popular Mechanics for $1.50 (right), and in 1927 it appeared in the Sears, Roebuck catalogue for $1.39.